In part-1 I installed the server and were able to login in. In this part I will do some basic configuration and start to add some hosts. Before you start you should consider how your network is setup. This may affect the layout later on and it will be harder to fix this afterwards. There are two major ways of arranging your hosts. Folders and host tags. One does not exclude the other. There are also host and service groups but you will need to use them what method you choose anyway. Lets say I have 1000 network objects I would like to monitor on one site. You may have Windows servers, Linux, UPS, Storage etc. In this case you may want to create folders for each network type. If you have 20 sites and 500 hosts you may want to create one folder for each site like London, New York, Paris and so on. And create subfolders for Linux, Windows UPS etc. Another option would be to create host tags like below. 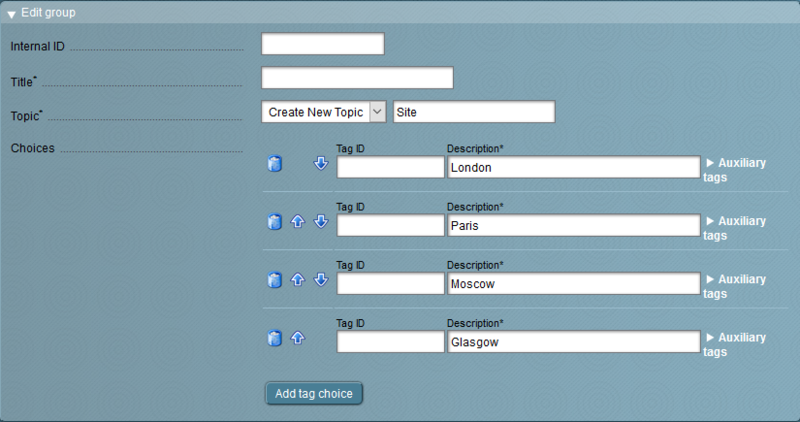 You may also want to create host tags for the type or whatever you may need. In the end the folders and tags helps you create rules for settings, notifications or check parameters. It might also be a good idea to create some host groups. Just create some like linux, windows, ups etc. When the host groups is created you may want to add some rules. In hosts – rulesets create a rule for grouping. Add hosts with tag linux to the linux host group. Do the same for others as well. Now when this is done it is time to add hosts. If you have created folders I would go to one folder and create a host. On the linux folder it self you may want to specify things like it should use the agent. Agents should be installed on Windows and Linux hosts. I will describe this in detail later but install the general agent now. When the host is added a lot of services is added. You can choose what services to add. In the case below it is the server it self. And the agent is also installed on the OMD server. 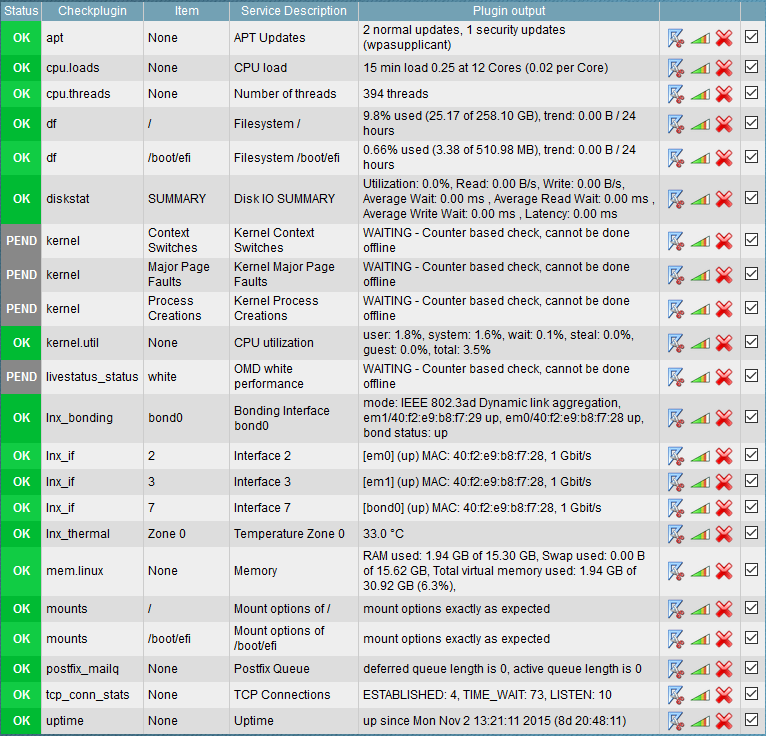 Press ok, Apply the changes and check the hostgroups view in the menu. Your server should now have been added to the Linux hostgroup. UPS, IBM Megaraid IMM adapters, Domino servers, Steelheads, Switches, Routers and SAN hosts. The options are endless.